“Every Czech citizen is a musician,” So runs a Czech proverb. And in the context of my guest appearances there I have indeed been able to sense people’s familiarity and affinity with their culture. This inspired me to immerse myself in the country’s musical history. This region has a varied history, and this made it particularly exciting for me to discover masterpieces by lesser-known composers such as Carl Ditters von Dittersdorf and Johann Baptist Vanhal. They represent the Bohemian school that was promoted by Emperor Rudolf II of Habsburg (1552–1612), who was also the king of Bohemia. This specific variant of the Bohemian Baroque is also known as “Rudolphine Mannerism” and for a time transformed Prague into the liveliest centre of art in Europe. By the 18th century, however, the power and wealth of the aristocracy were beginning to decline, with the result that many Bohemian musicians left for other European centres of music such as Vienna and Paris, where they had a crucial influence on musical developments by combining their own traditions with local styles of composition. This merging of traditions is reflected in works by more famous later composers such as Dvořák, Smetana and Mahler. 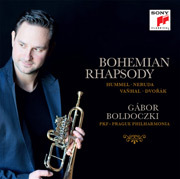 The more mellow tone of the flugelhorn has encouraged me to make much greater use of this instrument in my own performances, and so the present album features calm and sustained elements– most notably in the works by Dvořák and Vanhal – between the more radiant and festive strains. I hope that you enjoy listening to these works and that your musical journey through Bohemia proves to be an interesting one. "Hungarian virtuose Boldoczki is aptly demonstrating with his new CD how noble Bach sounds on a noble brass." 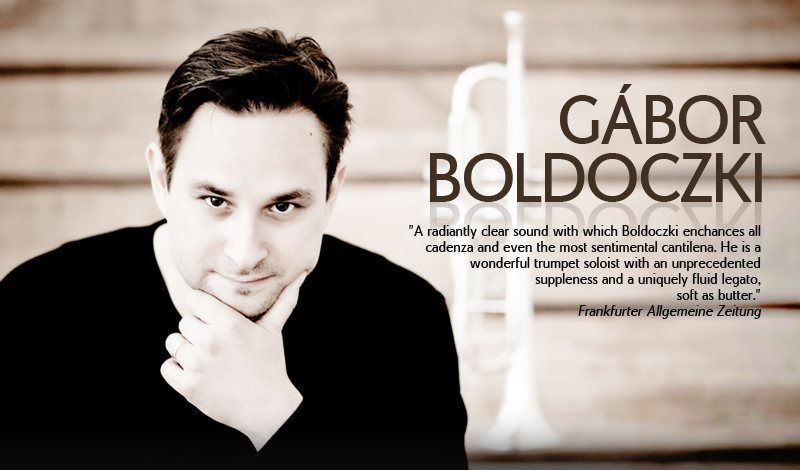 "With his new CD Boldoczki demonstrates again his exceptional ability of mastering his instrument. The detailed and often rather cunning embellishments are always perfectly in tune." "The charming performance of the three concertos has been eased by recently made, exquisite adapdations of two well-known arias and chorals. What makes Boldoczki’s playing so fascinating is his combination of rhetorical clarity and pure vocality, and the accompanying Liszt Ferenc Chamber Orchestra leaves us with no further desire." In order to view the musicplayer you need Flash Player 9+ support!